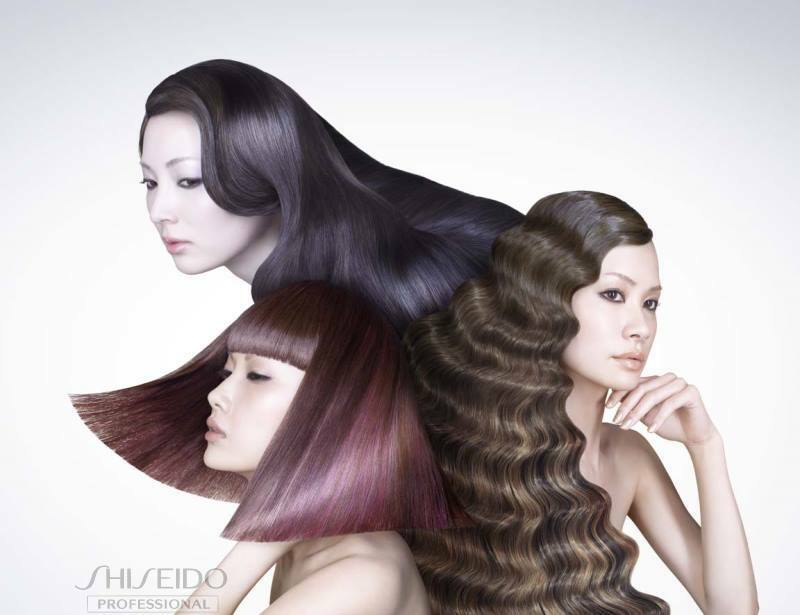 Shunji Matsuo Hair Treatment Giveaway! Haven’t been keeping everyone updated about my hair but many have still been asking where I did my hair, what treatment I did, etc. If you would like to know about my hair transformation (from long frizzy fried/bleached/dip-dyed hair, please refer to my previous post where I did the Cosme Cream Treatment at ICON Shunji Matsuo by Lily Xu at Far East Plaza). From then till now, of course, I definitely have been making sure my hair gets its much needed attention and keeping it well-nourished even when I was away in Europe for 3 weeks. 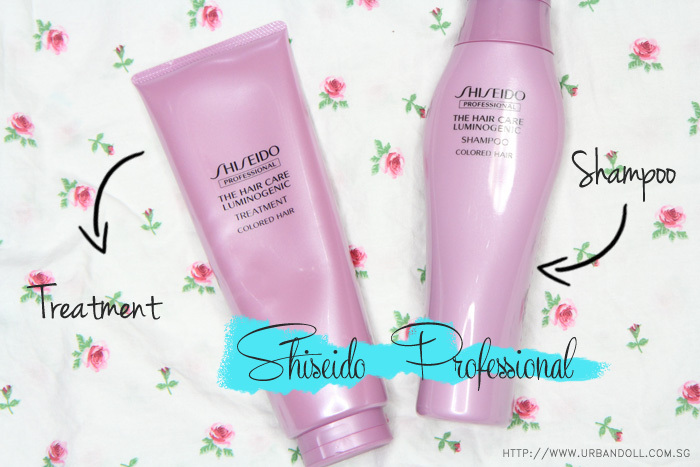 Just to share with you girls that I have been using Shiseido The Hair Care Luminogenic Shampoo and Treatment for Coloured Hair. 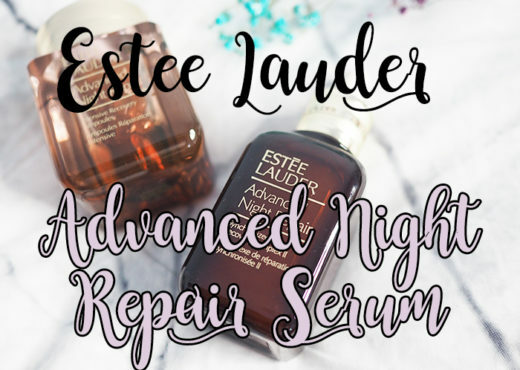 These products are soooo good that I use them sparingly because I don’t want to run out of them too quickly! Currently, I use my normal drugstore shampoo and I use the Shiseido range of products about once or twice (maximum) a week. Anyway I was advised by my hair stylist, Simon, from ICON Shunji Matsuo by Lily Xu at Far East Plaza that the products are very nourishing so I don’t really have to use them on a daily basis. I must confess that I ABSOLUTELY LOVE LOVE LOVE LOVE THE FRAGRANCE OF THE SHAMPOO AND TREATMENT! Okay they both smell the same because they are from the same series. But let me tell you, this fragrance really tops my list!! It’s a glamourous fragrance featuring the scents of roses! I always feel extremely happy (like top of the world kind) whenever I use this shampoo. I’ll even text my best friend that I’ve just showered and my hair smells damn good because of the shampoo and I’ll be damn happy for the rest of the day. Thank you Shiseido and Shunji Matsuo for the opportunity to try these products. *sobs sobs* Other than the fragrance, this line of products does not disappoint at all!! AT ALL! (I’m not paid to write about this, I’m just sharing you my new love!) I always use the shampoo, followed by the treatment. And my hair feels super smooth and retains its shine for the next couple of days! Which is why you don’t have to use it on a daily basis. Not that my hair isn’t smooth enough and shiny already after doing the Cosme Cream Treatment previously. These products do a superb job in maintaining my hair! Sleekliner – for unruly, frizzy hair. I’d say these are the five main groups that we can categorise our hair into. I used to belong to “Dry and damaged hair” but have now successfully moved away from that!! All I have to do now is to maintained my coloured hair, which is made possible by the Luminogenic series. You know I was at a bloggers’ event a month ago and there were a couple of fellow bloggers who tapped me from the back and said, “I like your hair.” :’) I can only thank Shunji Matsuo for that! I have never received such superior hair treatment for my tresses. Speaking of which, my hair stylist, Simon, decided that my hair should go a shade lighter. So perhaps I shall get my new hair colour done during my next few visits. 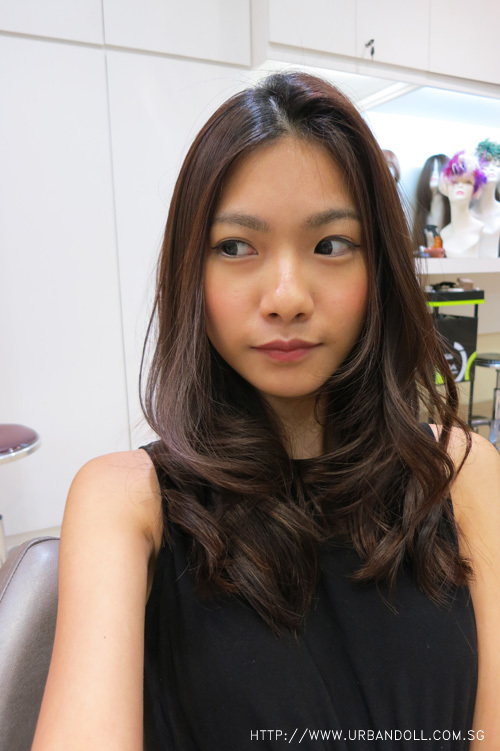 I learnt that Shiseido’s PRIMIENCE hair colouring line is specially designed to match Asian skin. Ugh you know how not all colours complement our yellow tones? 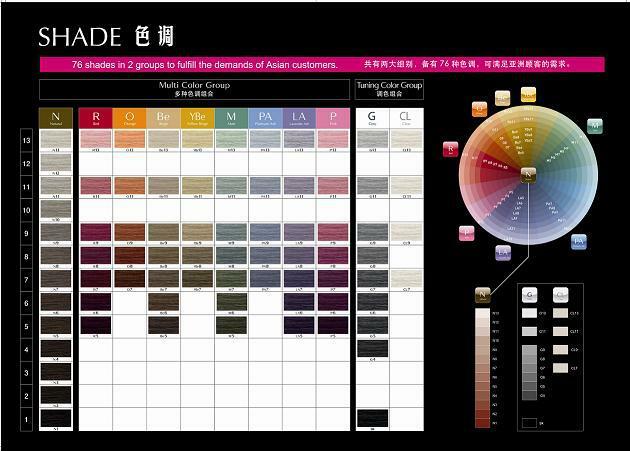 Thanks to Shiseido Professional, all these 76 colours are specially designed to suit the Asian skin, allowing us to have rich coloured hair and look good at the same time! PRIMIENCE offers colours that help to produce pure and clear colours that were previously difficult to achieve with black hair. They now offer clear and intense colours but are not overly vivid. 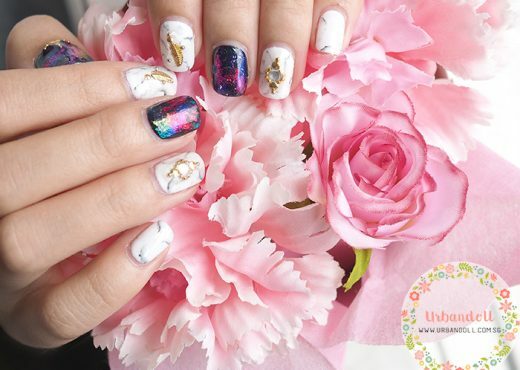 In that sense, PRIMIENCE colours blend easily with our Asian skin tone to accentuate the beauty of Asian skin. I’ll share more on this when I get my new hair colour! 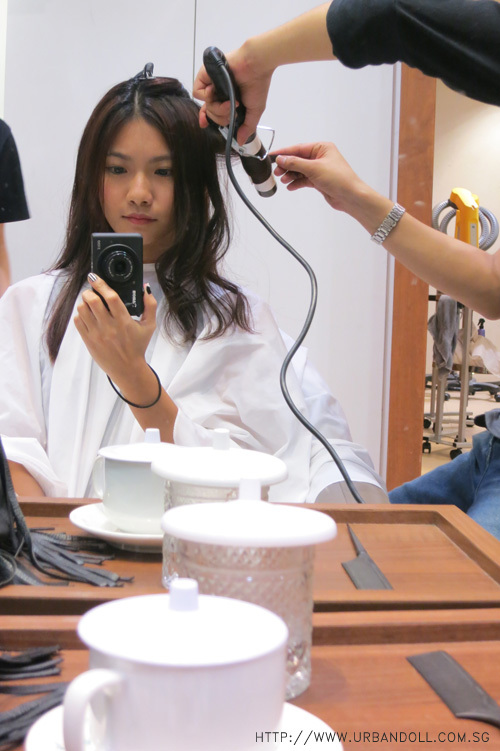 Anyway, before I left for Europe, I headed to the Shunji Matsuo Hair Studio located at Ngee Ann City for a pampering session of The Hair Care Treatment. As you can see, the condition of my hair was pretty good!! Shiny and smooth! Thank God to the person who invented Cosme Cream Treatment! I was served by a very friendly and outgoing worker called Alice, she was very humorous and kept me entertained throughout my time in the salon. She was in charge of the hair care treatment and brought me to first wash and prepare my hair for the treatment. Later, I was told to lay down on the chair (you know the chair which you lay down on when washing your hair at a salon?? THEIRS IS AUTOMATIC WHUTTTT!!!) and Alice applied the hair treatment for me. When she first applied the cream, I was like… “IS IT THE SHISEIDO ONE! !” because it smelled exactly like the Shiseido products that I used at home! As it turns out, I was right hehe. There was steam too to open the pores for your hair to absorb the nutrients from the treatment. Anyway, the Shunji Matsuo hair treatment lasted about 40 minutes so I was just there chit chatting with Alice and playing my phone. Okay uglam picture please ignore. 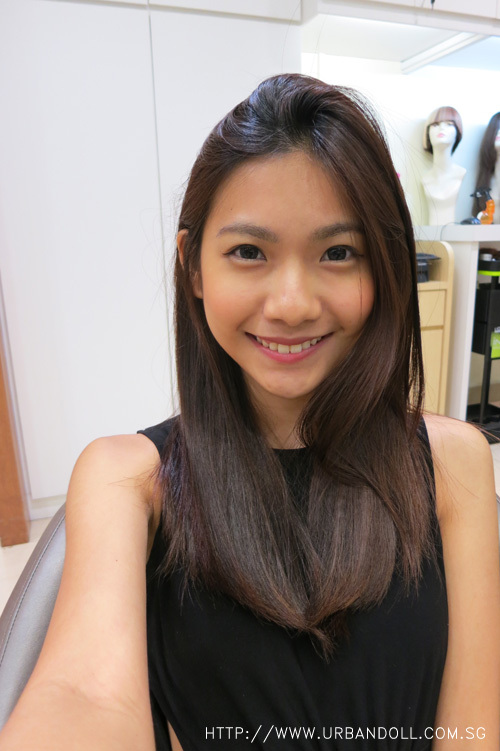 Time to style my hair when the treatment was done! Those are Masa’s magic hands by the way. I didn’t snap a picture with him as he wasn’t feeling well and I didn’t want to disturb him but I really appreciate his professionalism in handling my hair although he was running a fever that day. Nice hor? Needless to say, the hair treatment was awesome! My hair was even better than before. It extremely soft and bouncy after the treatment! And not to mention, shining in all its glory haha! I always walk out of Shunji Matsuo feeling fabulous because my hair always looks great and smells sooo good! *flicks hair* Love love love it whenever I visit Shunji Matsuo, regardless of the outlet location. i want to win the hair care treatment because my hair has always been dry and it gets tangled up every now and then… thus i would really love to have the chance to be able to have healthy, glowing and pretty hair like yours! didn’t really try any treatment for my hair before due to the high cost and me being unable to afford it… it’s my first time participating in a giveaway like this too so i really hope i could get it! 3) I really need some TLC for my dry bleached and coloured hair. this would certainly help! 3) Why you want to win this The Hair Care Treatment or PRIMIENCE Professional Colour Session: My hair is in terrible shape after my last rebonding which left it fried and frizzy, so I desperately need some hair TLC! 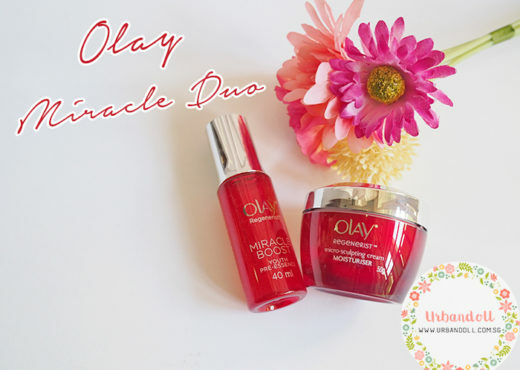 Anyway, I would love to win this giveaway as my tresses are in need of some pampering! Hopefully the Haircare Treatment can help my irritated scalp. I’ve been dropping hair lately to my utter horror. So let’s hope I’m lucky enough to get picked! My dye job has faded to an ugly yellow and my roots are 2 inches long 🙁 It desperately needs some help! ThankU & may I be the lucky winner. Have been reading yr blog for awhile now and always appreciate your reviews on different products and all. I would love to win this so my hair can be “resurrected” by the professionals as they’re quite damaged now! :( my birthday is almost here and I would like to look splendid for my 20th hahaha! 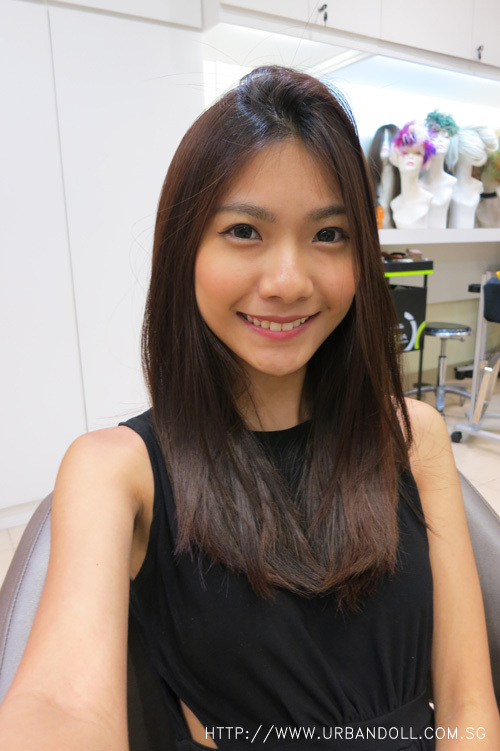 3) Got my hair dyed at Shunji Matsuo Hair Studio a few weeks back as well, and I loved it! My hair stylist briefly introduced their Primience Hair Colouring line to me that time so I would really love to try it soon! Hey! I would like to know what exactly your hair colour is? Where did you do the colouring and what base/highlight colours did you use. I really love the colour! 3) Having cash flow problems ): but yet my hair needs lots of treatment to save it! Really hope lady luck is on my side and will be able to win, thank you keline! 3) Why you want to win this The Hair Care Treatment or PRIMIENCE Professional Colour Session: i want to win this becos my hair need to get fixed! too much fizzy n split end. I’ve bleached my hair 6 times, dyed it countless of times and it’s terribly fried 🙁 It seriously feels as dry as hay so I need some treatment to hopefully elevate this messy hair situation ;( however, being a student, where got $! thank you keline for this giveaway! Want to get rid of my boring black hair & get a new hairstyle! Left a comment here the other day! Not sure where it went ): Anyway I could do with a good hair treatment. Have never done one in my life and my hair is in need of some fixing! Would love to have hair like yoursss! Thanks Keline and congratulations with the degree! When is the closing date of this?